Perched on the PRIME 2600 Block of Nelson sits this MAJESTIC 16,976 sq/ft property - one of the largest in all of Dundarave. 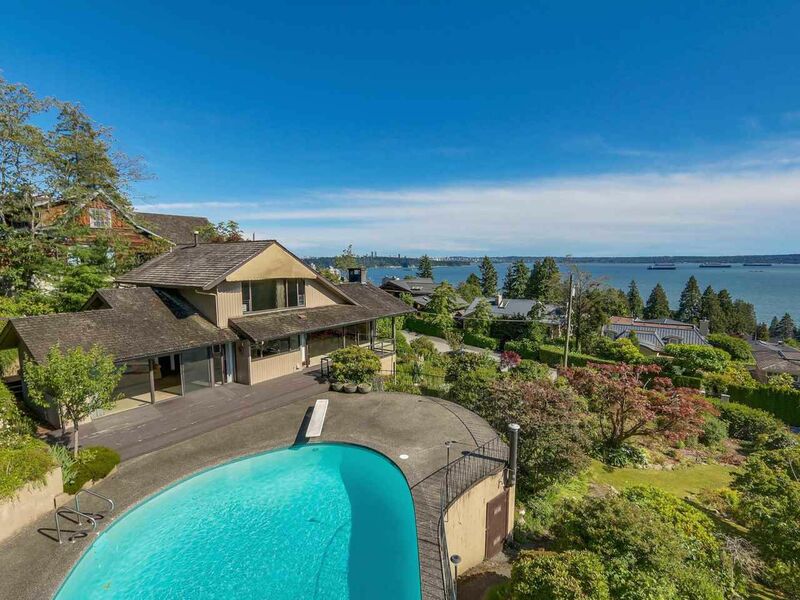 The private pool deck and hot tub afford sweeping PANORAMIC ocean views from DOWNTOWN Van to Van Island. The 4 bdrm house is in great condition, perfect for any family and steps to #1 ranked Irwin Park Elem. This massive, 'UNICORN' lot could be the home of a brand new mansion of ~9,000 sq/ft that would easily be the CROWN JEWEL of Dundarave. Or, there is potential to SUBDIVIDE this into two ~8,500 sq/ft legal lots. This quiet, private, bright, sunny, south facing property has mature manicured gardens that are simply stunning. Truly ONE-OF-A-KIND. Open House Sunday July 10th, 2-5PM.